AWACS is the abbreviation for Advanced Wireless Auto Controlled Security, a state-of-the-art security system with countless application possibilities, which was originally developed in the Grand-Duchy of Luxemburg and in Italy by the research unit of the security company High-Tech Imp-Ex with the brandname CASTELM and LM-technology. The task was to get off the ground the most capable security system ever realized, and this aim was achieved in 1998. 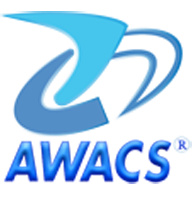 AWACS was first approved by the Luxemburgish government in the year 2000, before it was authorized in the whole European Union. We would like to point out that all components of AWACS can be used equally with or without wires, and at any rate, we guarantee you that your security option will work perfectly because there�s no risk of faults or capacity reduction due to the choice of a wireless or a wire-bounded alarm system or a combination of both possibilities. Handling security since the year 1987, we are always looking for the best technical solutions in this sector. The main problem faced in the past during the in- stallation of alarm systems arose from the fact that in most cases the home in question is not designed to host the units and connections involved in an alarm system. The wiring necessitates significant operations on the existing electrical system, jeopardizing sometimes its functionality as well as causing considerable costs and inconveniences to the user who has chosen to install the security system. For many years, there was no alternative to lay wires which disfigured the normal domestic environment, winding their way along windowsills etc. However, since more than a decade, technology has enabled us to construct increasingly efficient and reliable wireless devices capable to communicate their operating status and any anomaly to the central control station, facilitating external surveillance. The connection of a complete range of wireless sensors to an alarm station is not a problem anymore. These new devices are besides easy to install, to program and to use. In the year 1998, the described developments led to the realization of the Advanced Wireless Auto Controlled Security (AWACS), which consists of� a complete range of certified alarm devices. More than ten years have passed and we introduced almost a million items onto the market. Both installers and users are fully satisfied with the capacities of our security systems. Of course, we will never stop to develop and spread our product range which is currently composed by the wireless and wire-bounded components that you can find in this catalogue and which are each conceived to ensure complete satisfaction for all specific security requirements that you might have.